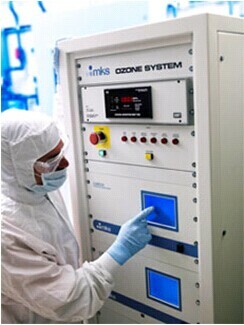 Philippines – October 2014 – Dymek Philippines received an order for four (4) units of MKS – Semozon 140 Ozone Generators from a leading Solar Cell manufacturer. These units are upgrades of their existing Semozon 90.2 Generators which DYMEK also provided. The Semozon 140 Ozone Generators are designed for ozone applications in the Semicon industry and as well as in Solar Industry. Typical applications include wafer cleaning, photoresist strip, contaminant removal, surface conditioning and oxide growth. Materials, assembly and testing are optimized in respect to particle reduction, low dopant use and cleanliness.